Mountain climbing and catching a game of ice hockey are among activities which have been enjoyed on afternoons out by teams across the Admiral Group. At Admiral we believe people who like what they do will do it better and a key element to this is the strong social network built up across all our teams through afternoons out each quarter. 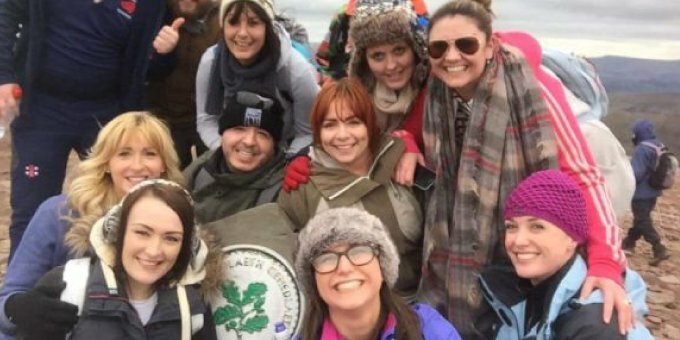 Members of the Monitoring Team at our van insurance broker business Gladiator recently laced up their walking boots and climbed Pen Y Fan in the Brecon Beacons National Park in South Wales. During the climb the team were passed by a platoon of soldiers in full kit who were running down the mountain. Everyone said they enjoyed themselves and for some it was a huge achievement and definitely a tick off the bucket list. Our People Services Systems team decided to take a trip to see the Cardiff Devils Ice Hockey team for their afternoon out. 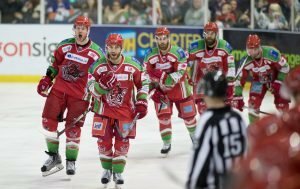 There was a great deal of excitement in the air as the Devils were sitting high in the league and heading into this fixture off the back of four straight wins. The players headed out onto the ice to a fantastic roar from the crowd. The game started with a furious pace and we sat back to enjoy the game.